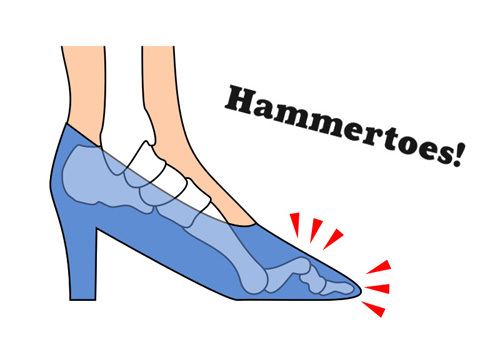 SO-CALLED ‘hammer toe’ can create a claw-like effect that spoils the look of summer sandals as well as being stiff and painful…. what can be done? The foot is a complex structure and hammer toes are usually the second to the fourth toes, formed when muscle and tendons are shortened or tightened, leading to structural change. The condition can also be inherited. Toes become stiff, with a burning sensation, and wearing shoes is uncomfortable. Corns and calluses can form on the toes or balls of the feet – these may be hard or soft and in extreme cases can form open sores. Avoid shoes which have pointed toes or are too short, or too-high heels that force the toes to squash down to the end of the shoe. Instead wear roomy wider shoes and a 2-inch heel. Chiropodists might recommend foam pads to protect the toes from forming calluses and podiatrists can make orthotic devices or suggest gel pads to support the foot and help relax a shortened tendon. Medication may relieve pain and surgical splints are a last resort. We complementary therapists look at the whole body in a different way rather than just the ankle and foot. 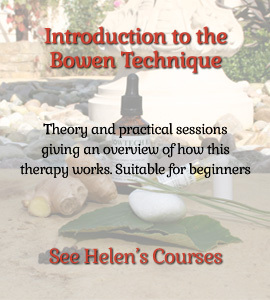 For example, Bowen Technique checks the lower back, hips, knees and heels first and has a procedure specifically for hammer toes. Strapping with an elastic adhesive bandage over the sole of the feet can be helpful. Success can be achieved where the condition is in early stages – and new roomier shoes have been bought! The art of ‘foot reading’ suggests that claw or hammer toes indicate repressed feelings either through outside influences or the individual not wanting to show their true mind-set. Reflexology may be helpful, working on the toes to stimulate the meridian pathways that carry an invisible energy known as ‘chi’ in Chinese traditional medicine. In addition, exercises such as curling and uncurling toes, stretching the muscles at the back of the legs (hamstrings) and front of the legs can help loosen tendons. Natural remedies include a warm bath or soothing foot soak with Bexters Soda Crystals while aromatherapy oils can help reduce inflammation.